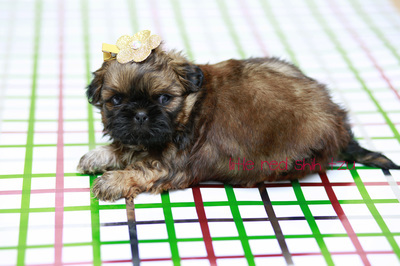 Chumley is a registered AKC Shih Tzu. He is playful and great with kids. 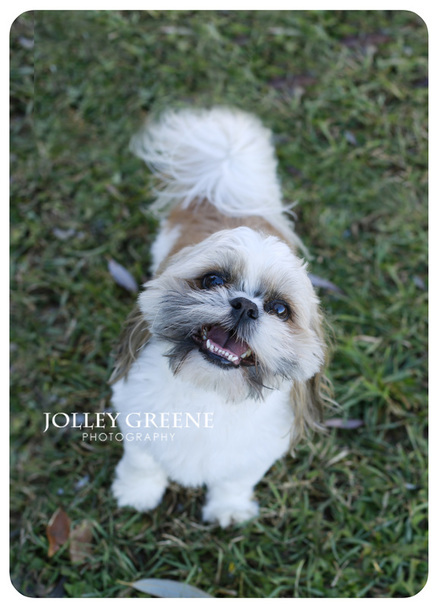 Chumley has been raised around children and pets and loves both. 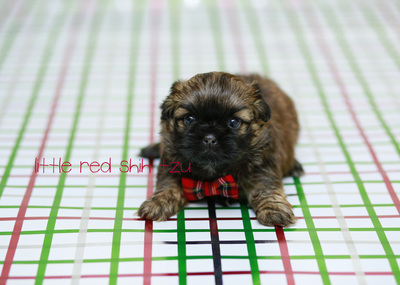 He has a strong line and big beautiful eyes. 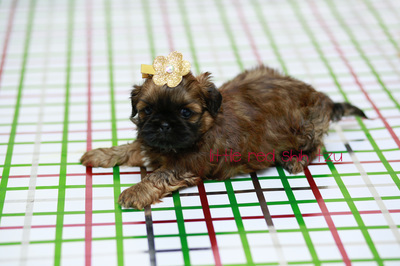 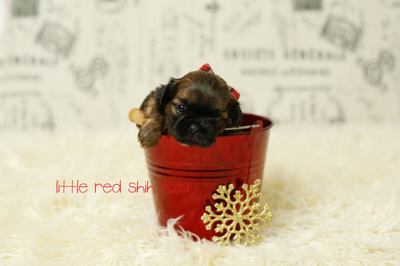 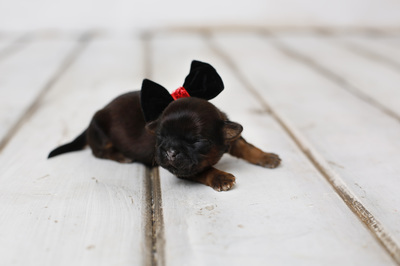 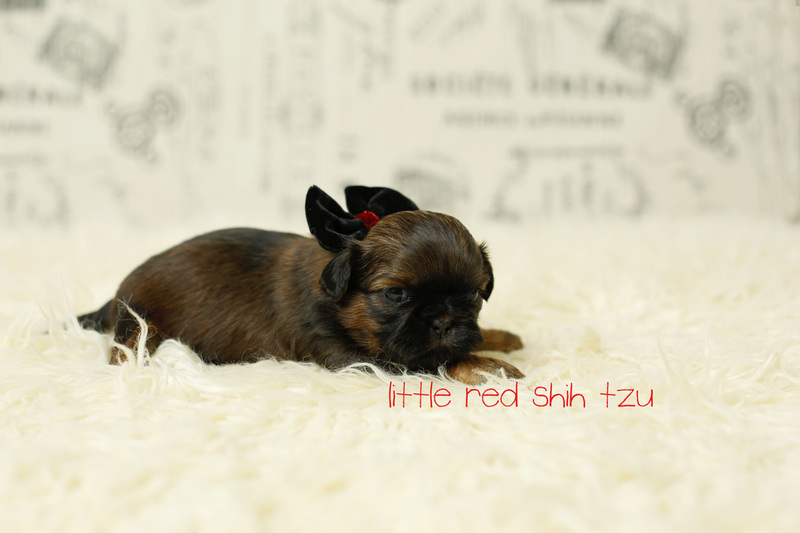 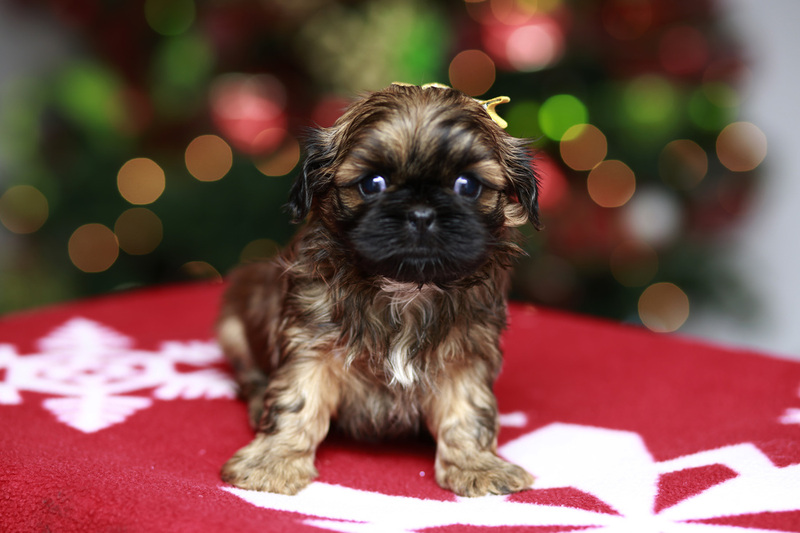 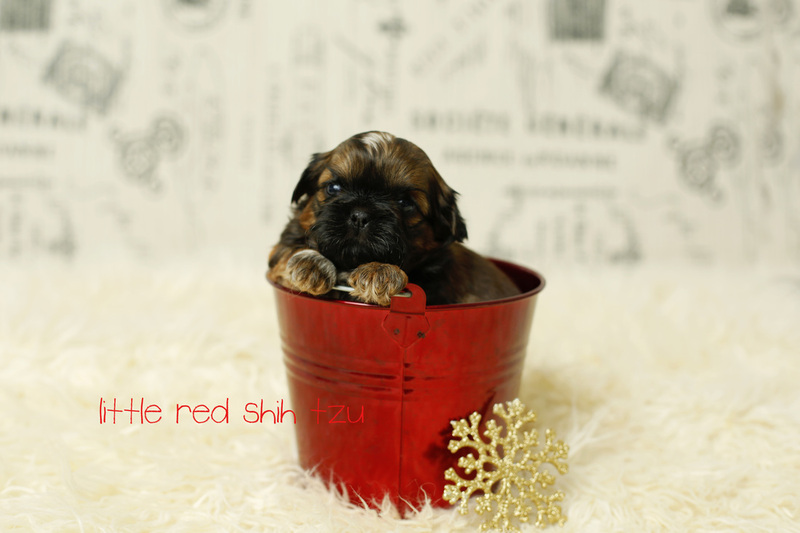 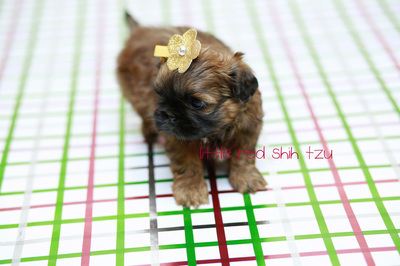 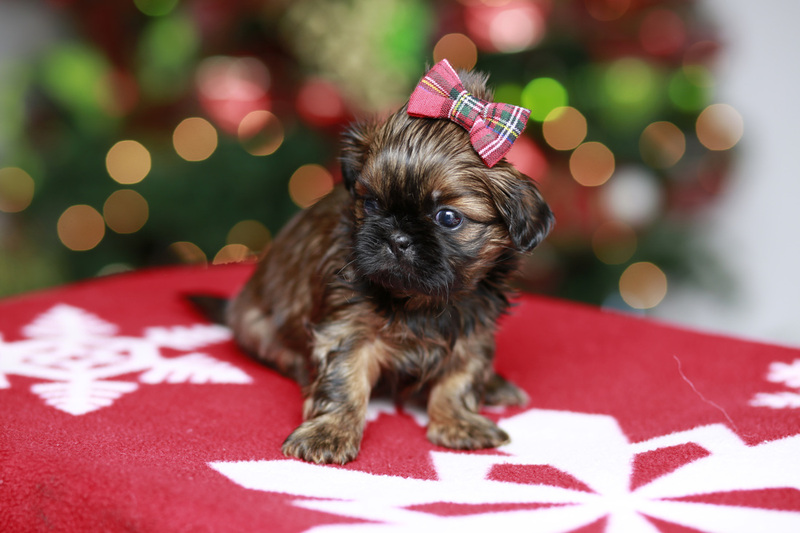 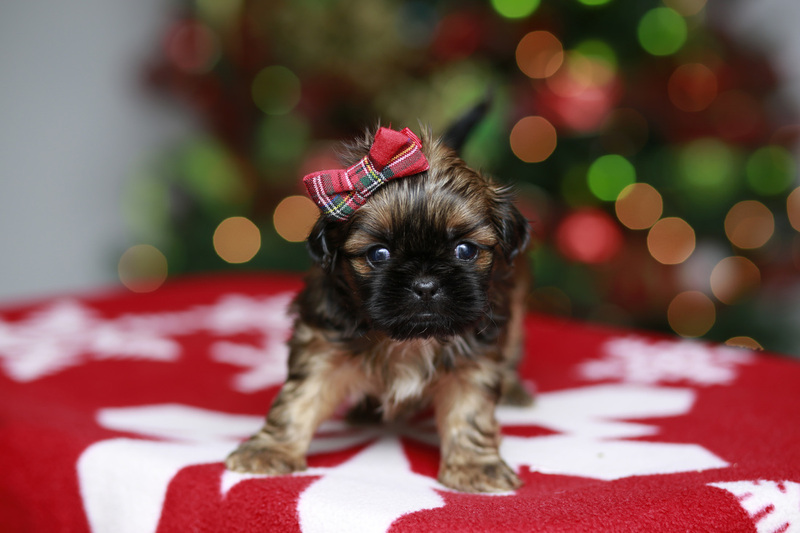 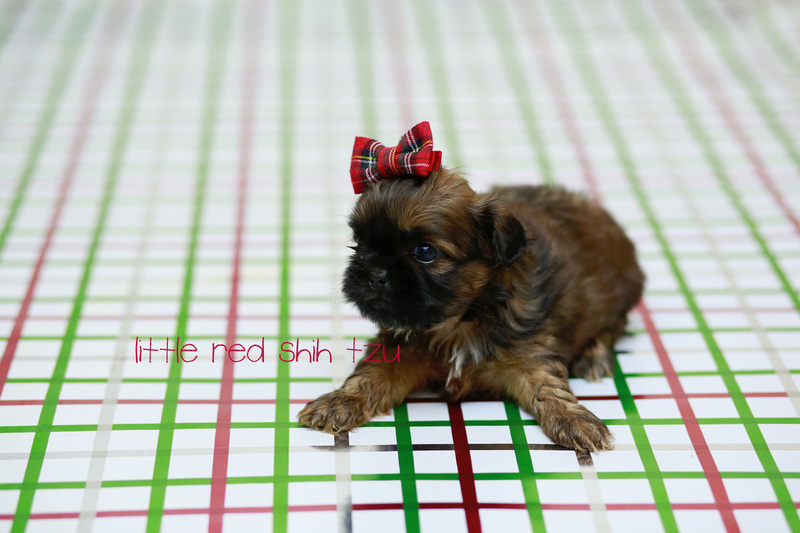 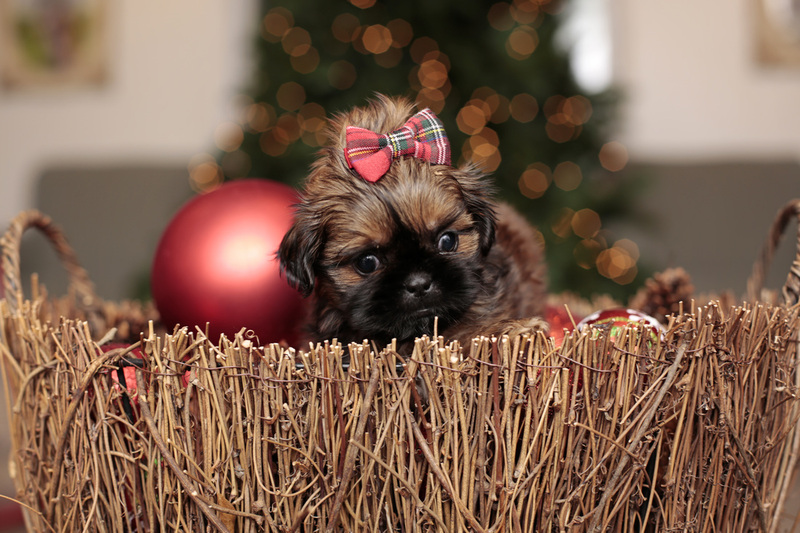 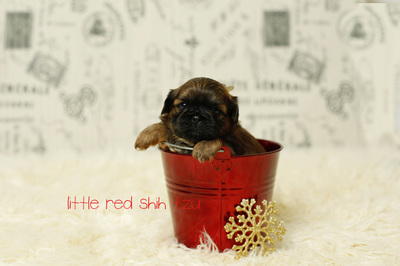 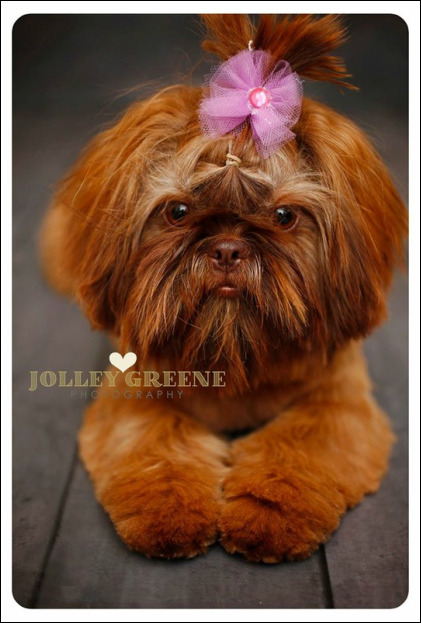 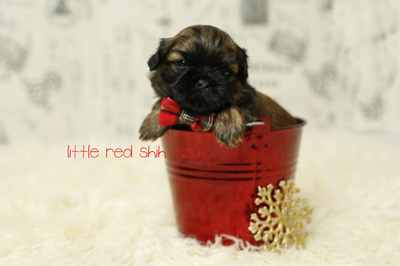 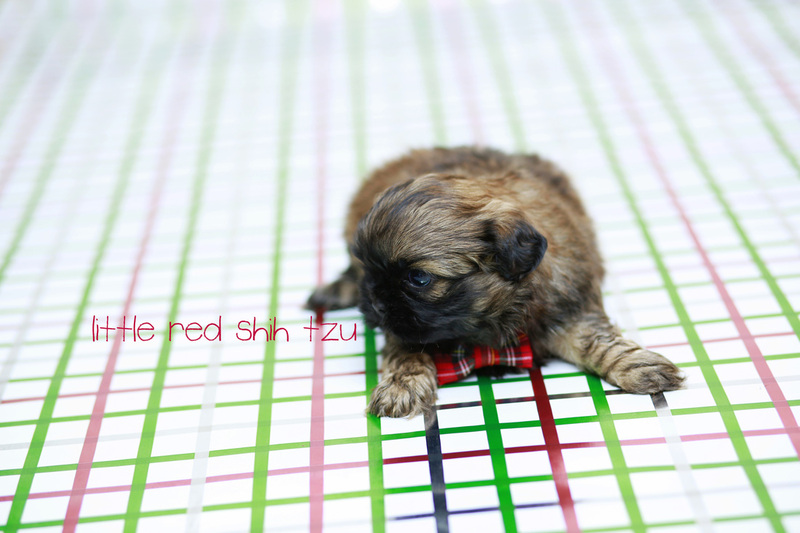 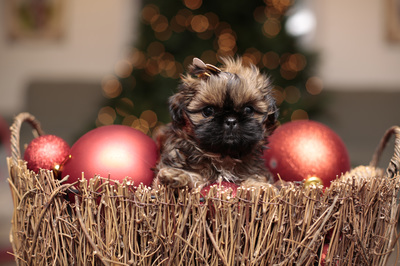 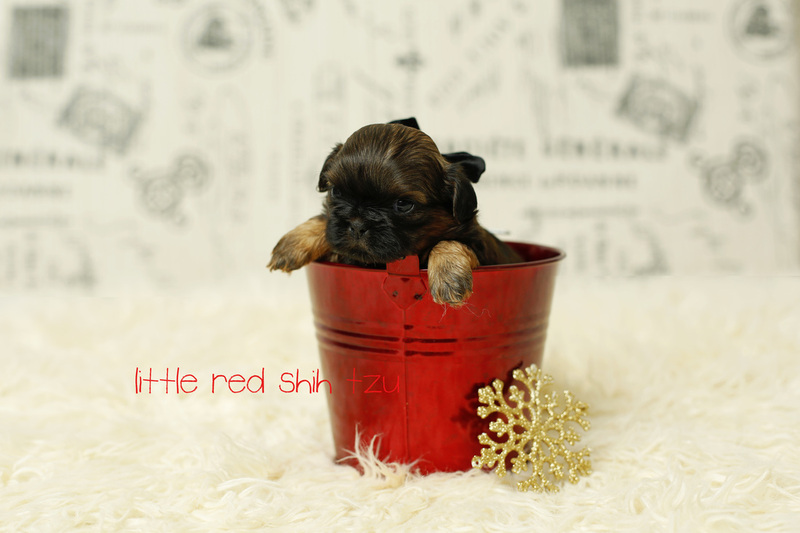 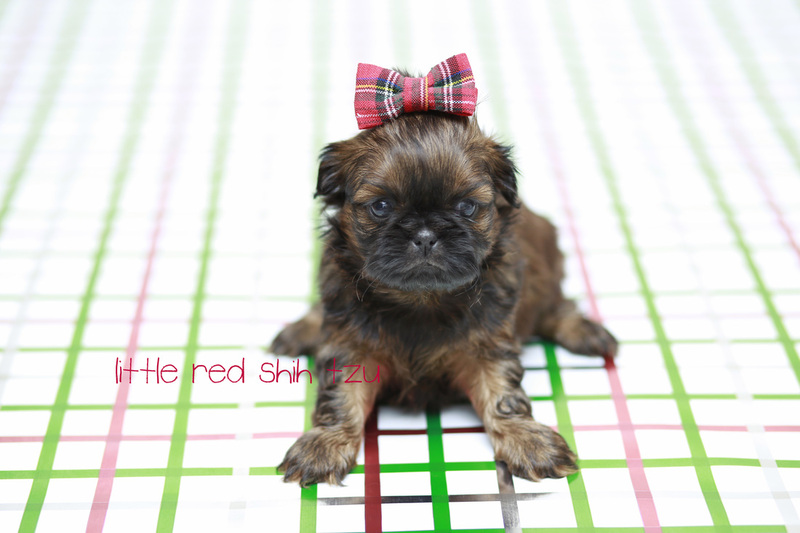 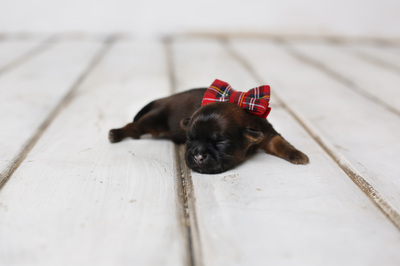 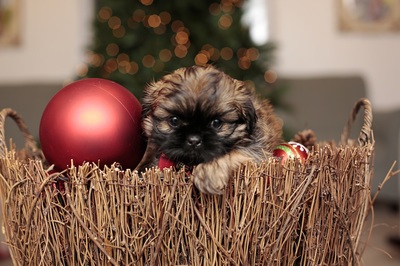 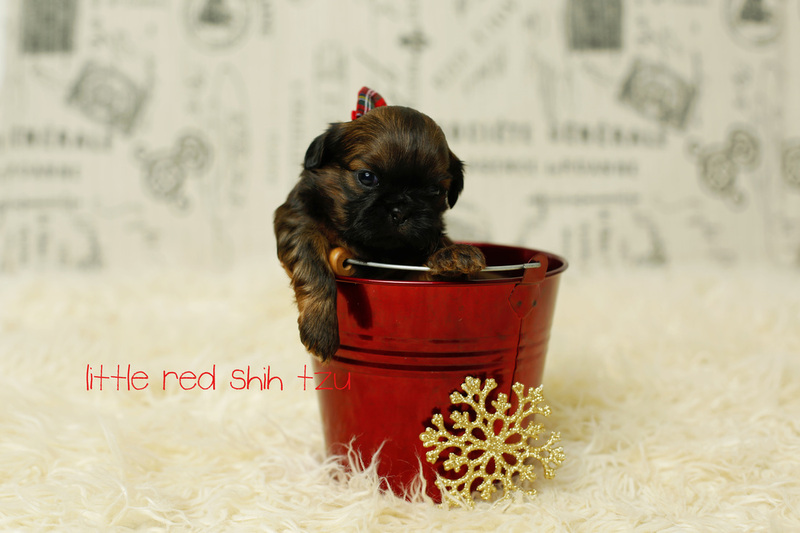 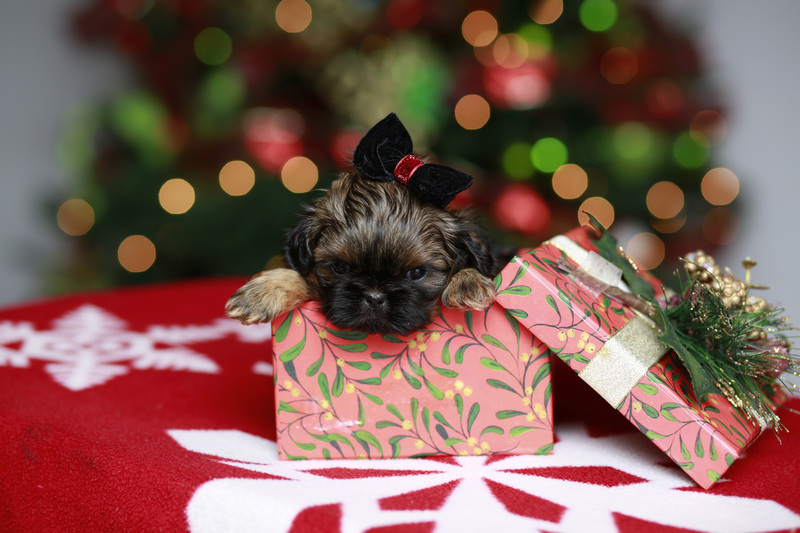 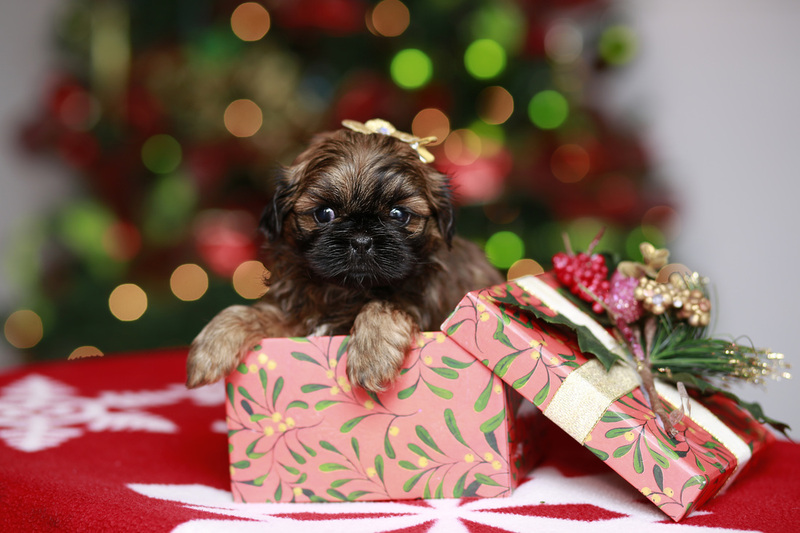 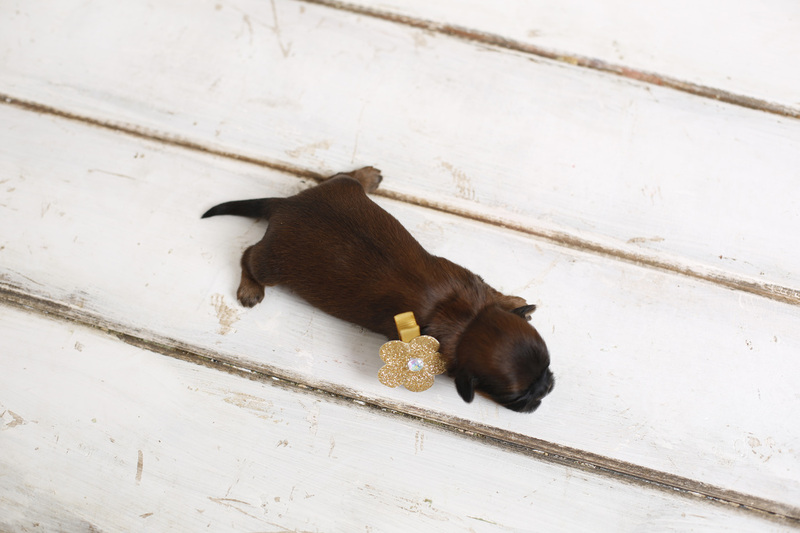 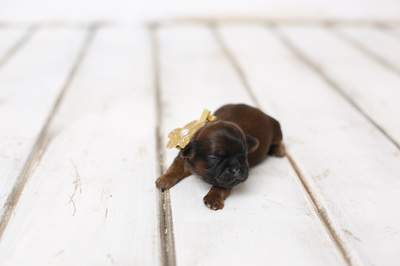 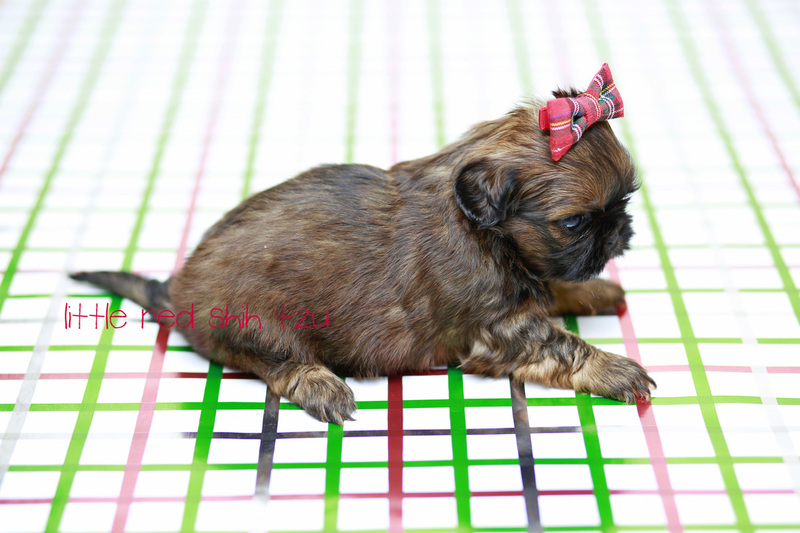 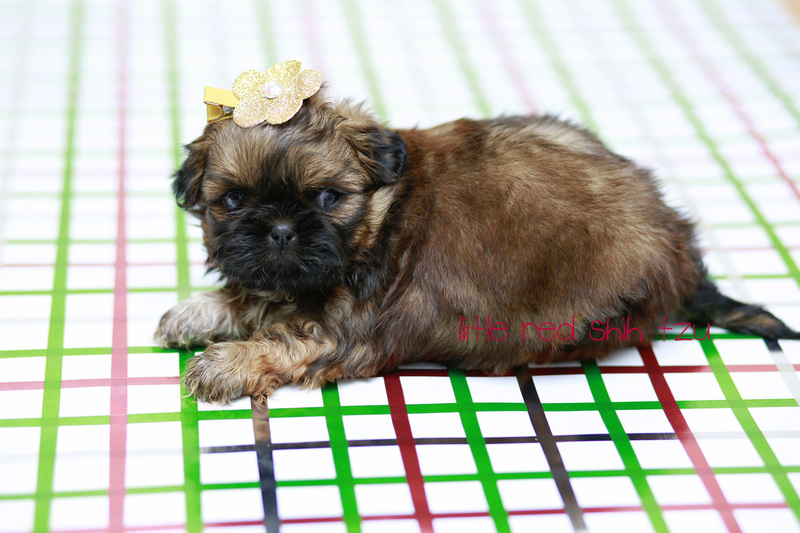 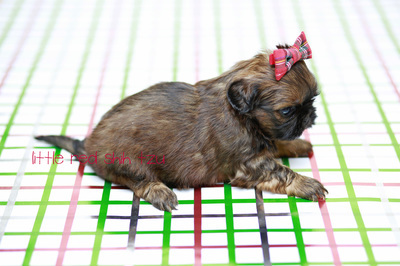 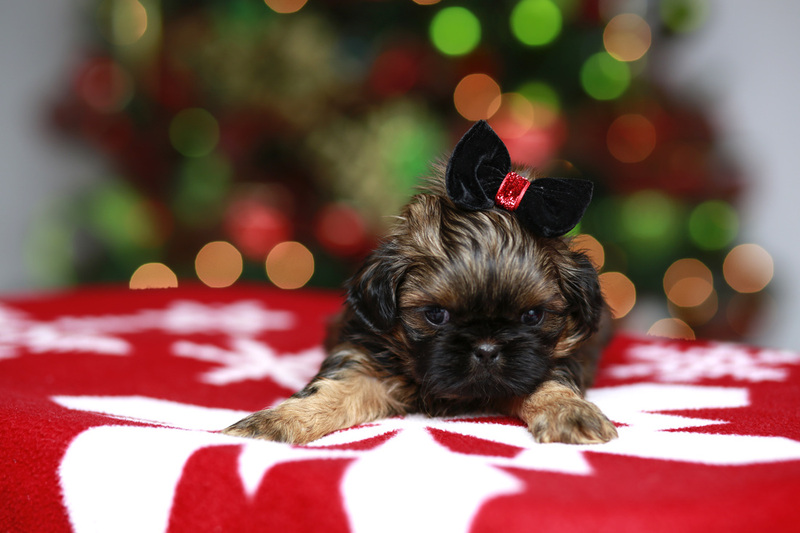 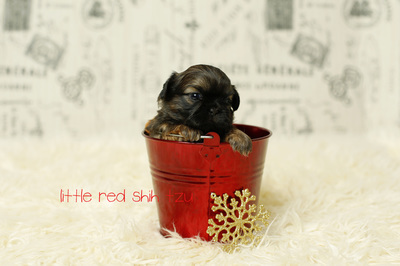 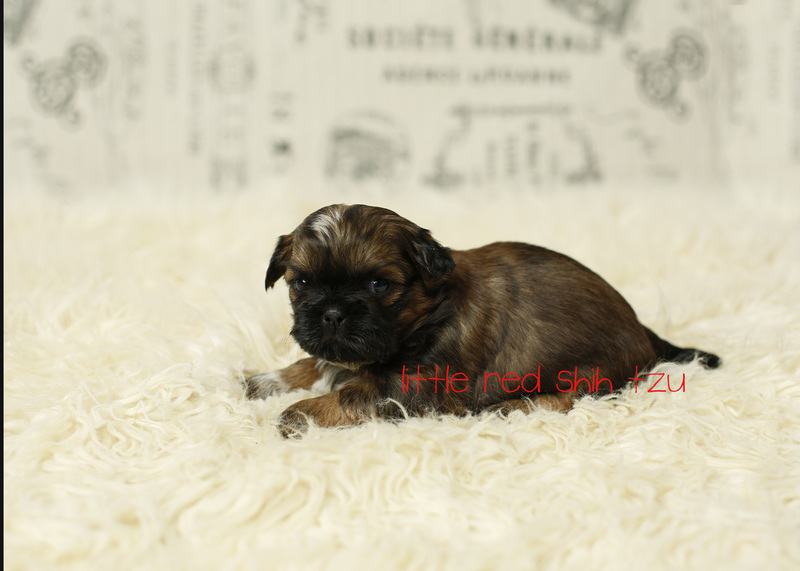 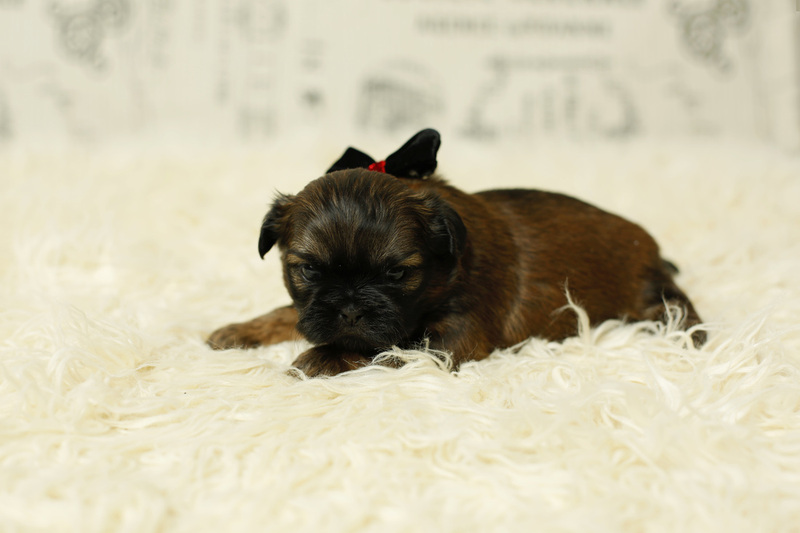 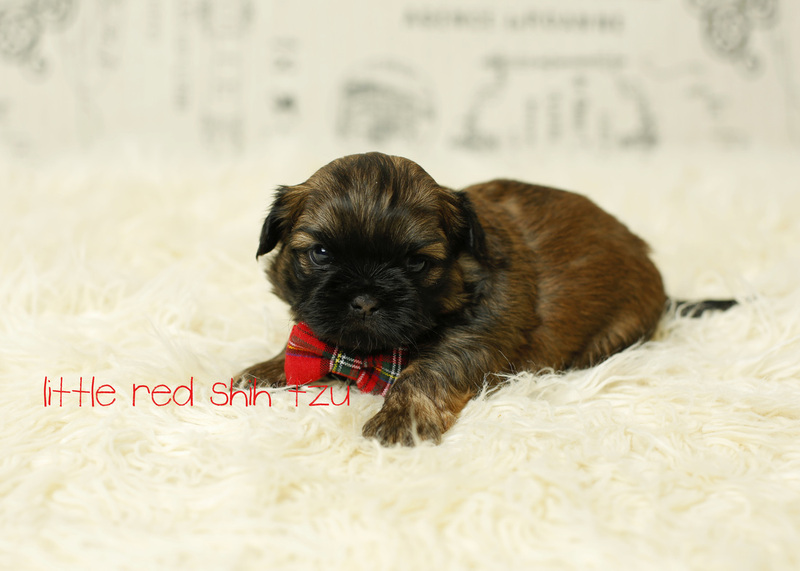 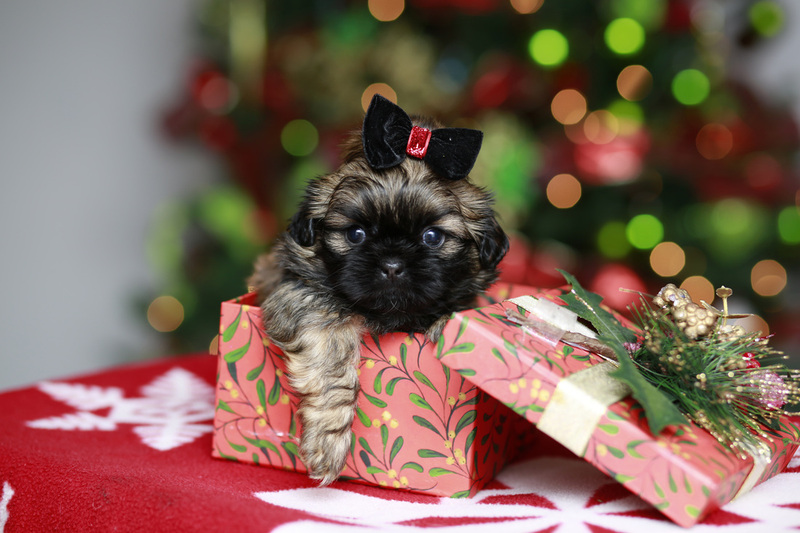 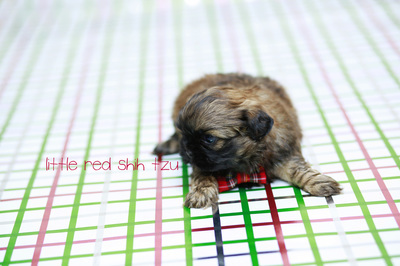 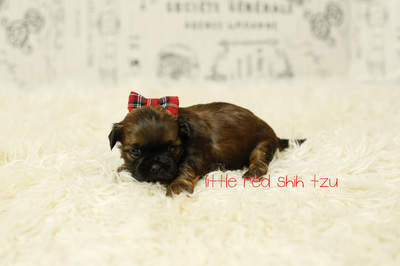 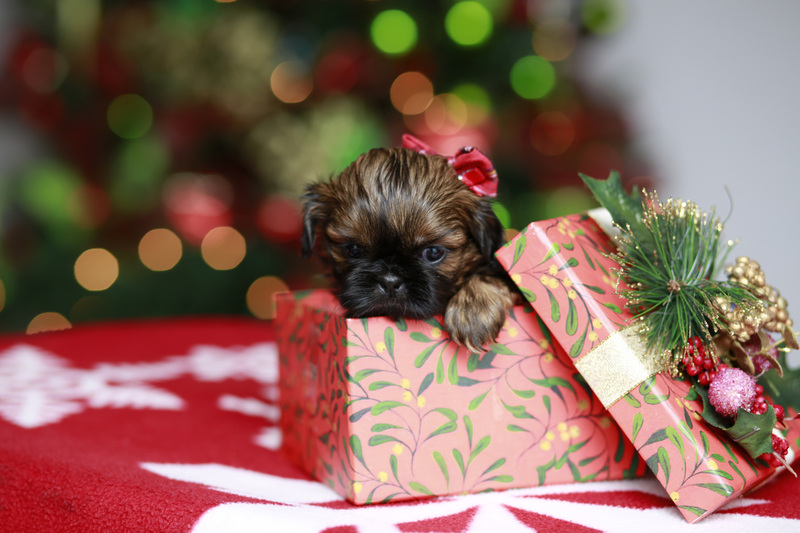 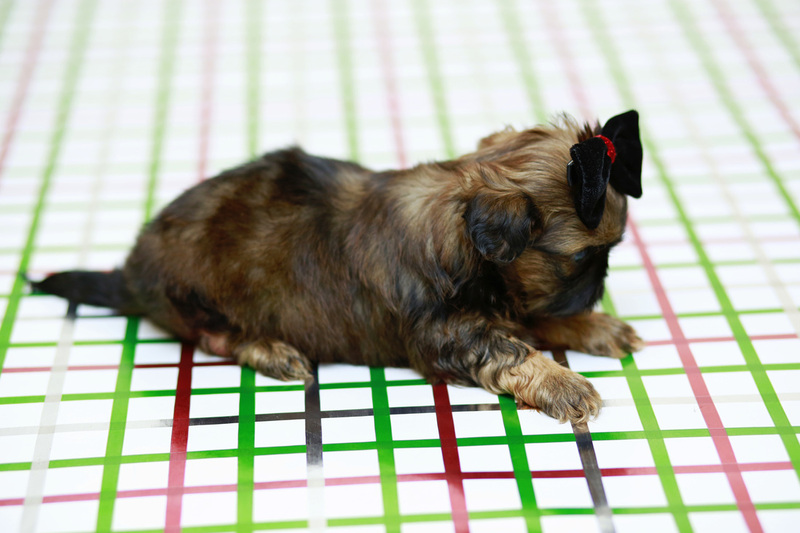 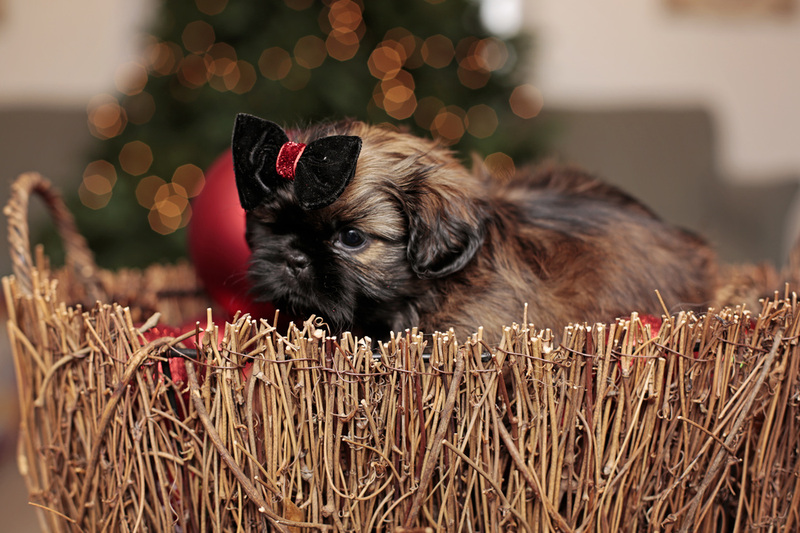 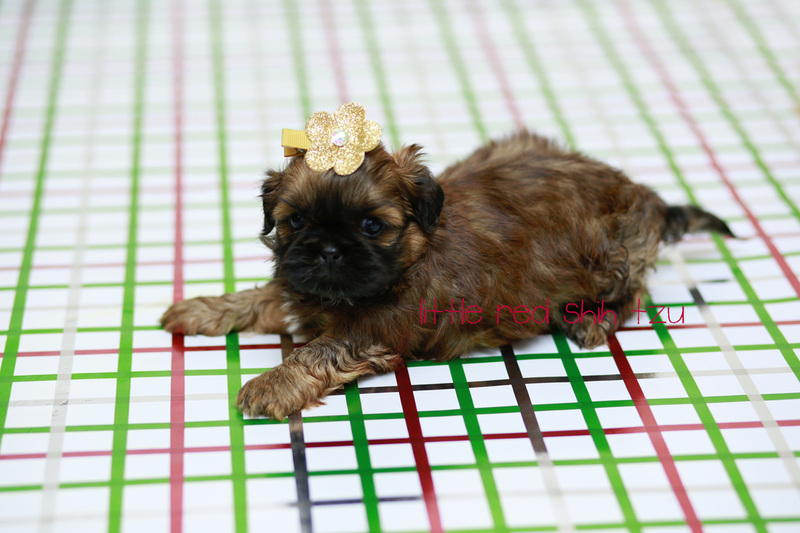 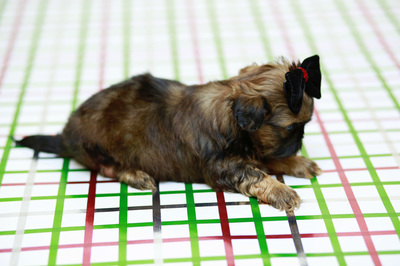 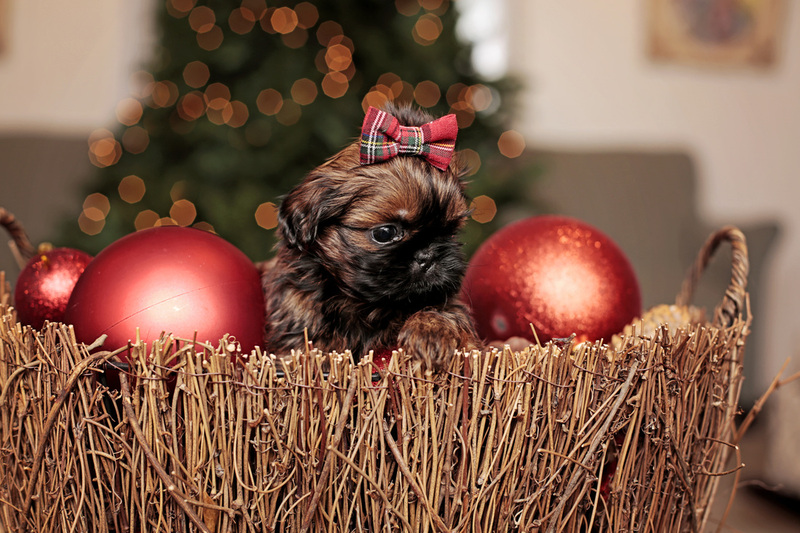 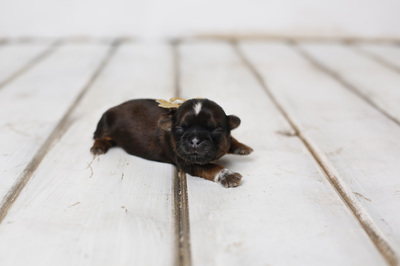 Cutie is a registered AKC Shih Tzu. She has champion lines and would make a great show dog. 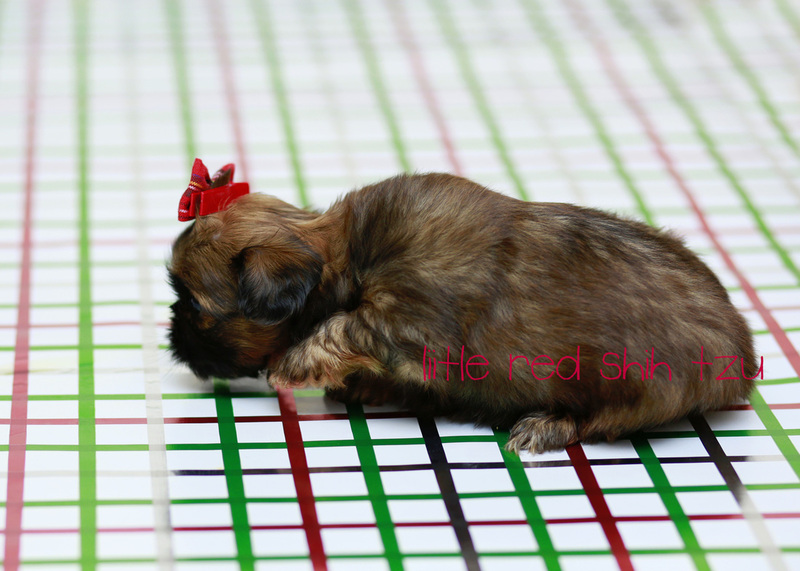 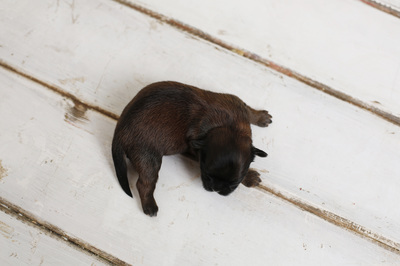 Cutie has a blue father and is a liver orange color. 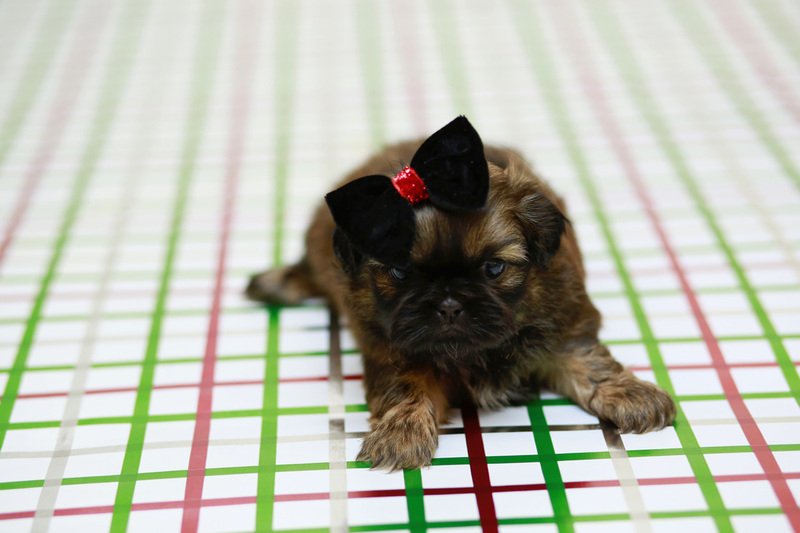 Cutie is a beautiful dog and is loving and playful. Our puppies have all found new families. 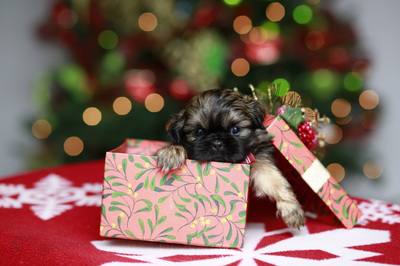 We are so happy for their new adventures. 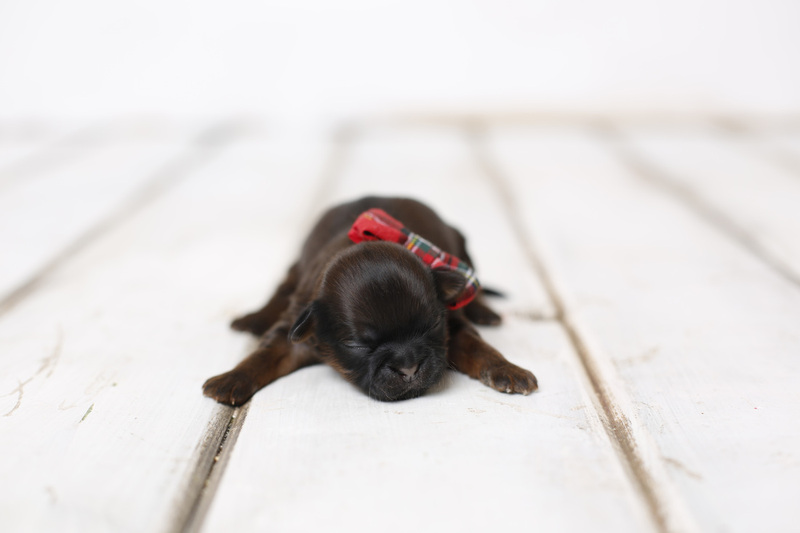 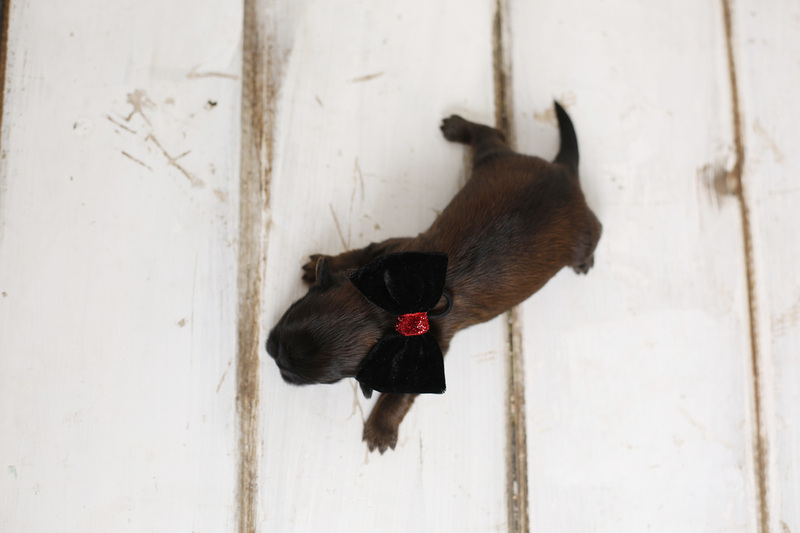 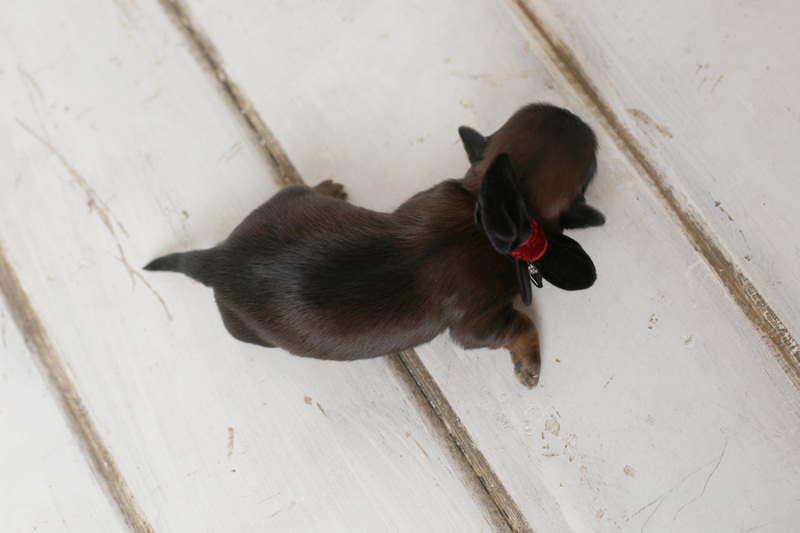 New photos of your pups coming soon! 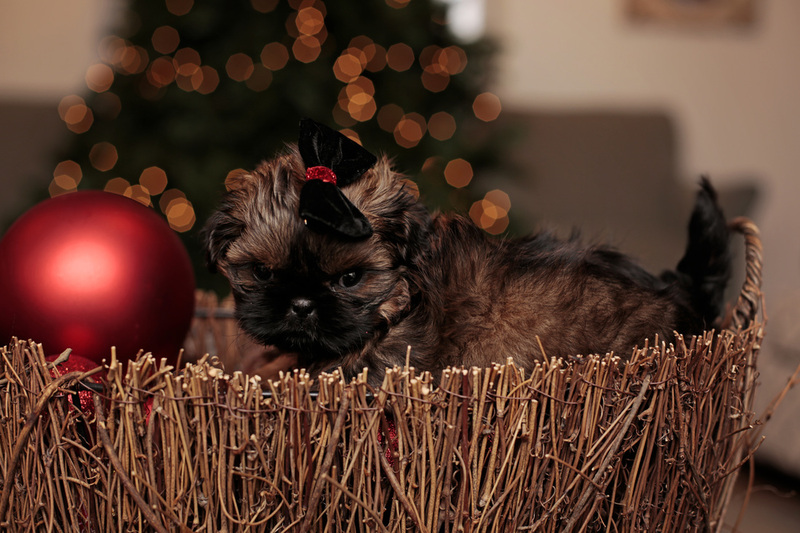 All the pups visited our vet today and they did so good. 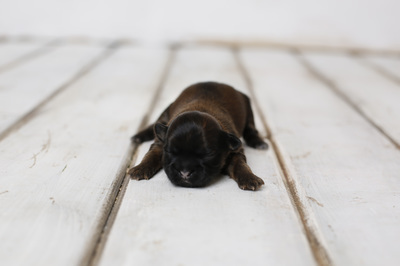 If you are interested in our next litter please send me a text or email so you can be placed on our homes in waiting program. 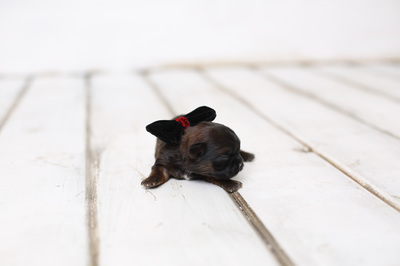 Holly is female and has a white patch on her chest. 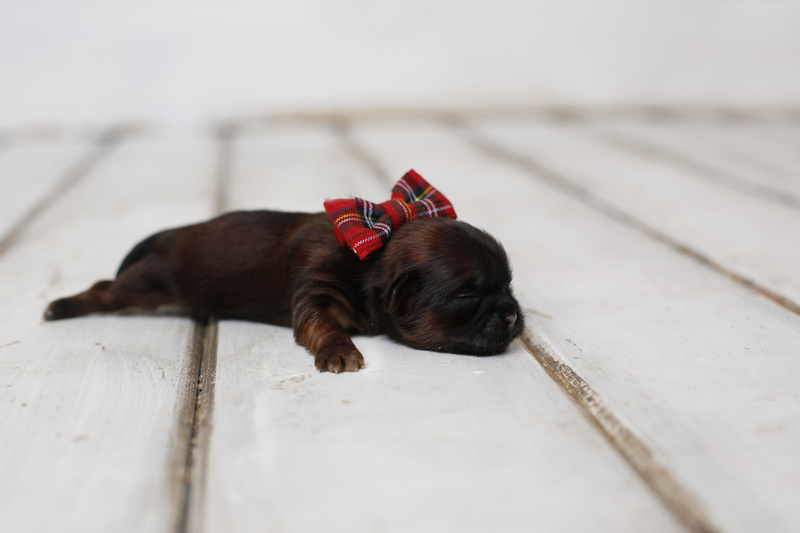 She is more layed back. 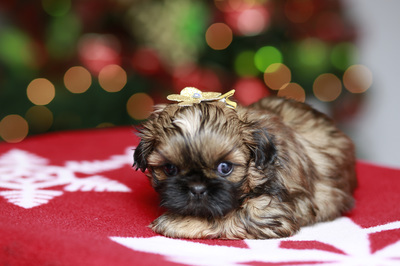 She is so content just chillin on my lap or being held by my 5 year old. 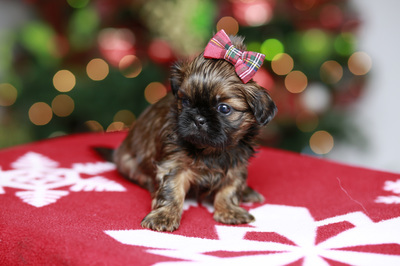 Holly will be joining the Palmer family. 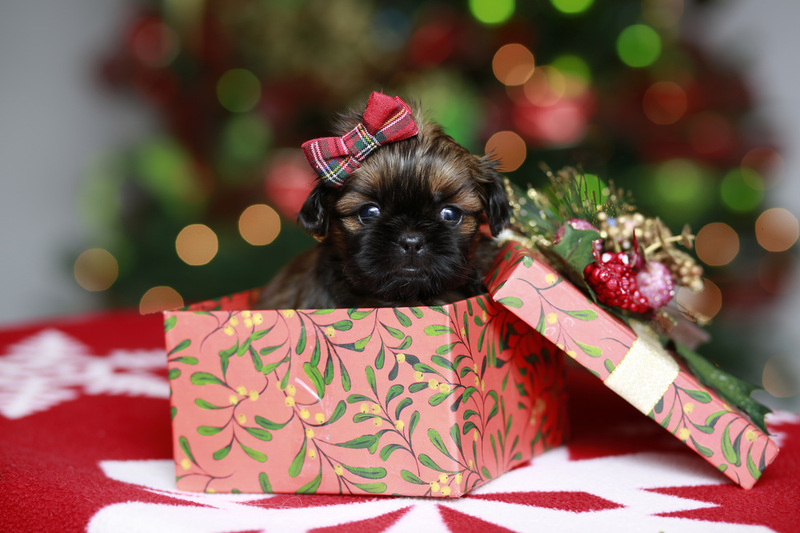 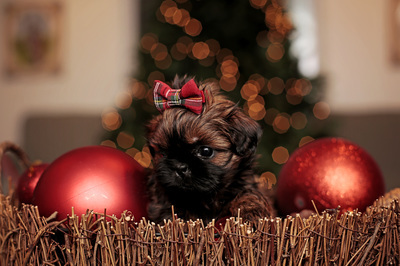 She will be the best gift under the tree. 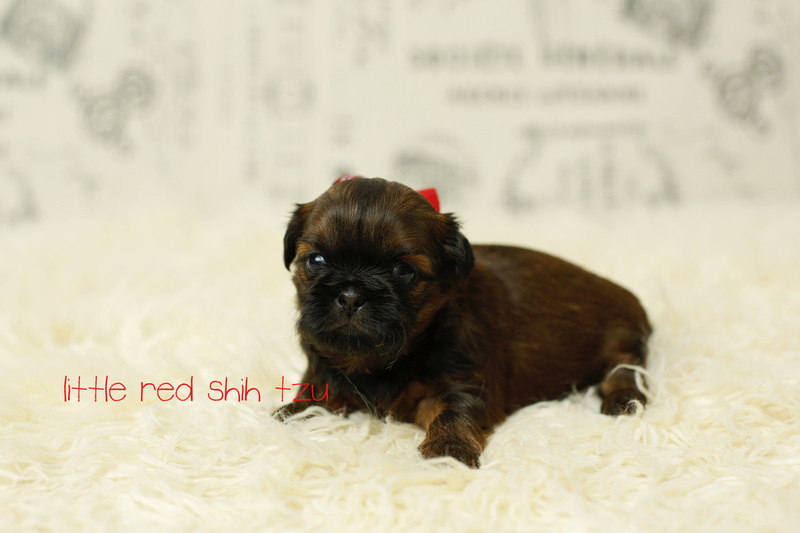 Our only solid red female. Will look similar to mama but with a black nose and mask. 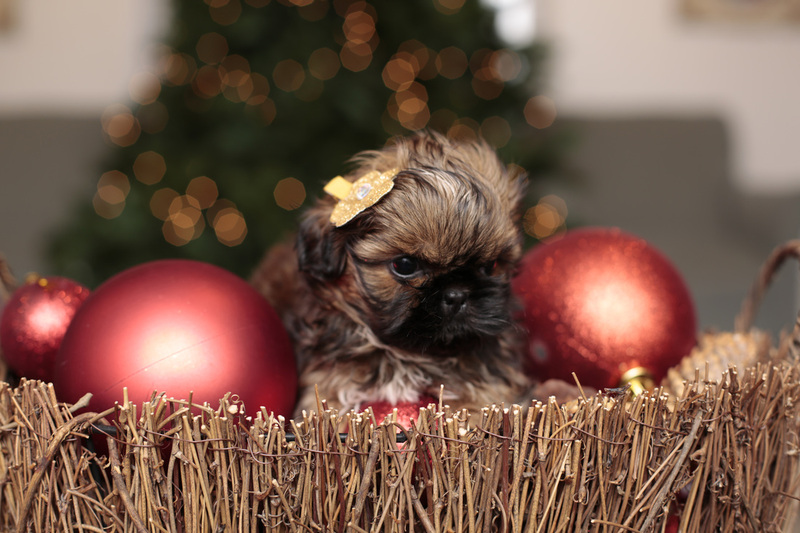 SOLD GOING HOME WITH THE GREEN'S. 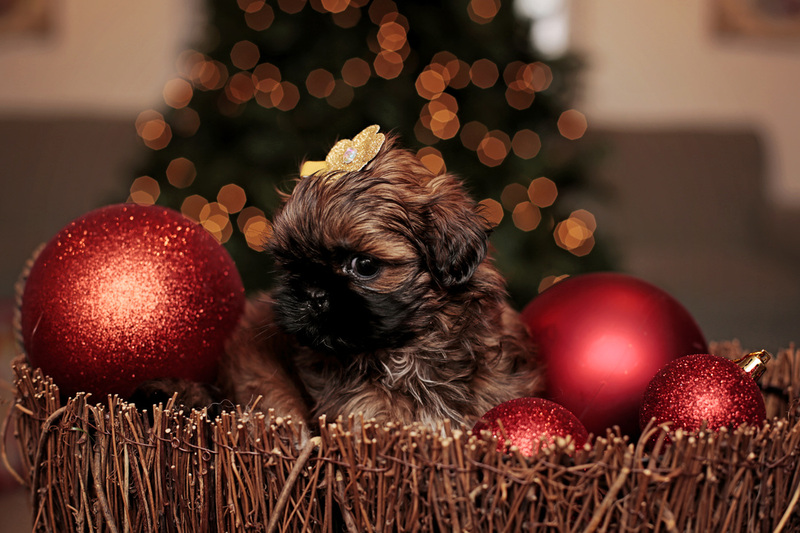 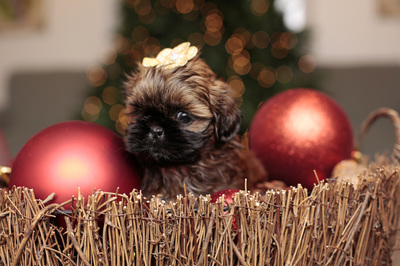 ​TINSEL WILL BE A PERFECT GIFT FOR UNDER THE CHRISTMAS TREE. 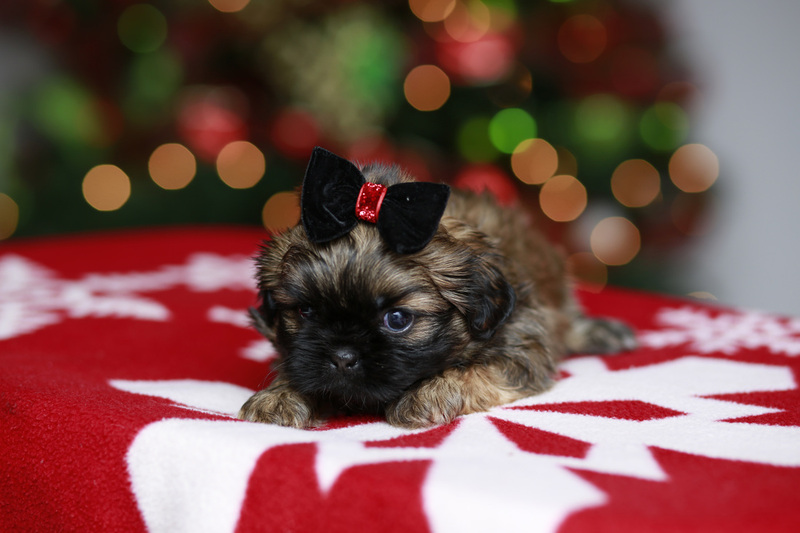 This beautiful girl has one white paw. 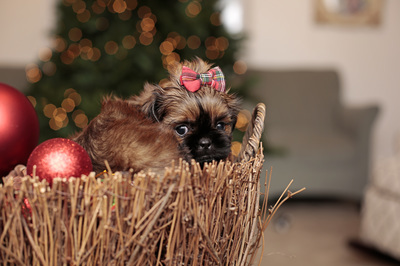 It is so unique and cute. SOLD GOING HOME WITH J.W. 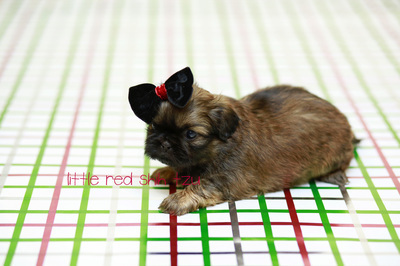 This girl is super pretty with white marking on her collar bone. She is just perfect. 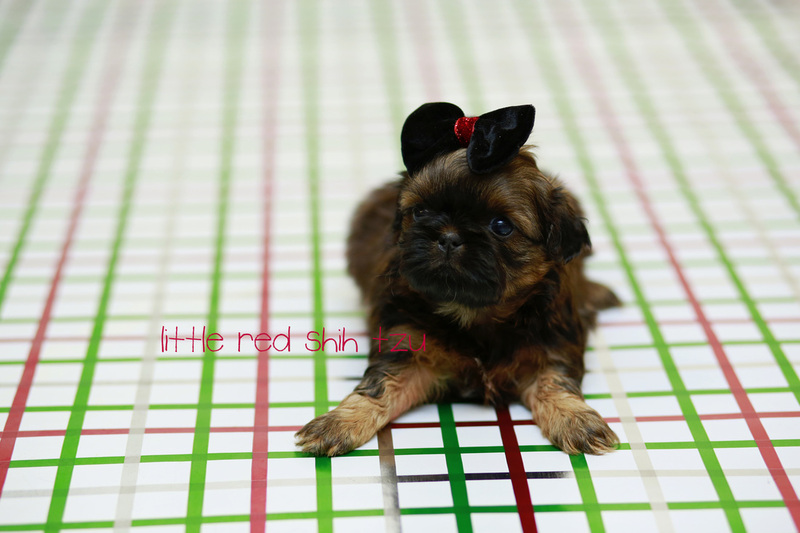 Joy is staying here with us!!!! My son went back and forth for awhile but we have decide on JOY. 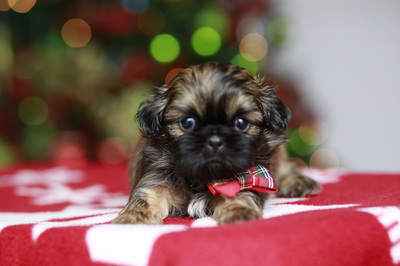 I can't wait to here what name he comes up with....OH JOY! 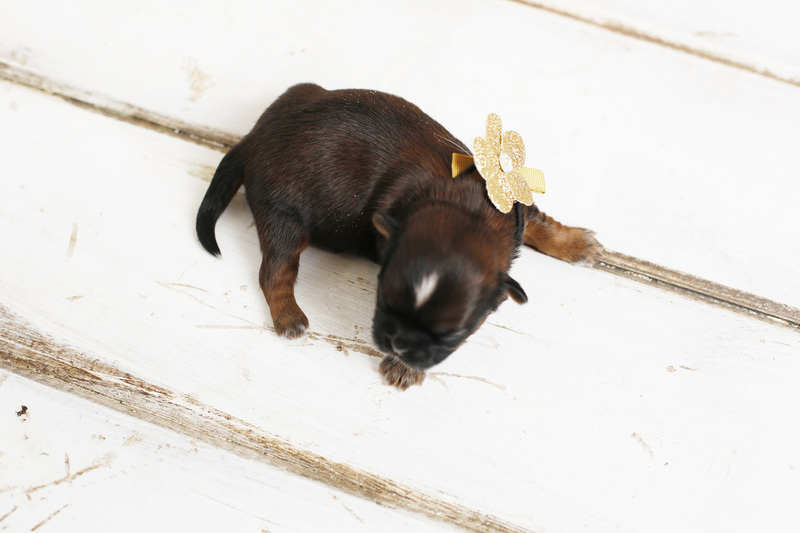 Eve is a beautiful girl with a white marking on her chest. SOLD GOING HOME WITH DENECE. 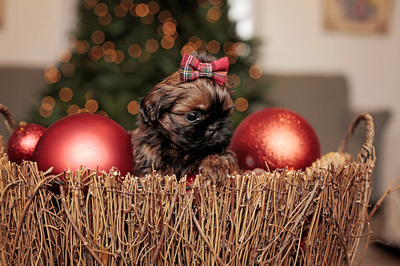 She will make Christmas so magical! 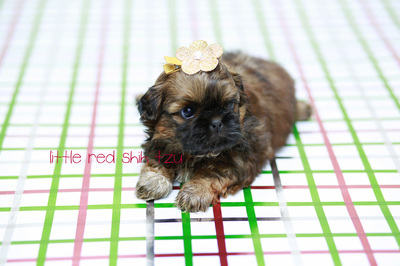 This is our only boy. 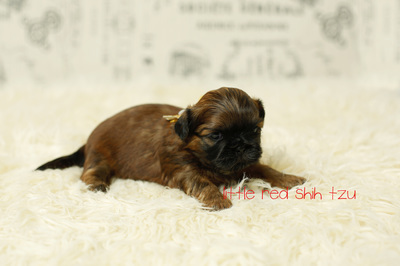 He is a cute chocolate orange. 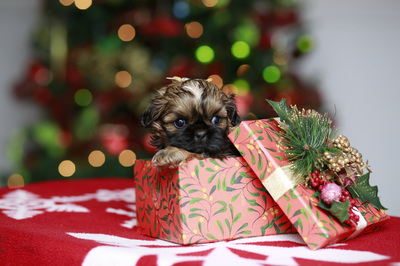 ​Nick is going to be the best Christmas gift ever. She expresses the most red/orange color. 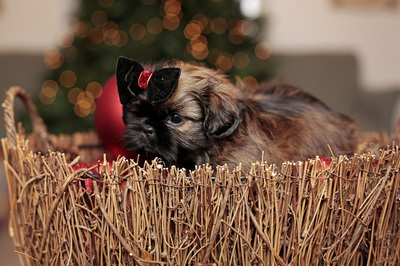 Dark mask with bright brown eyes. She is playful and loves being held. 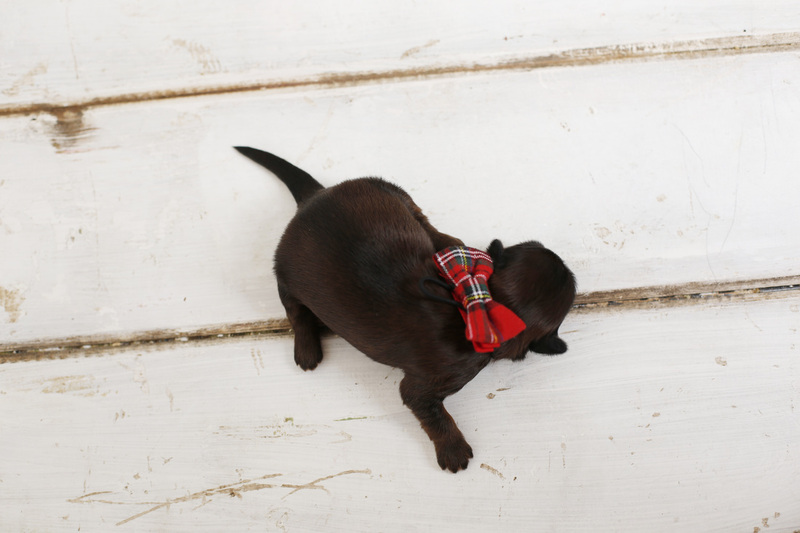 Going home with the Burns family. Candy is going to make the Burns Christmas so sweet!